In 1818, John C. Clarkson built a house at 44 Elm Street, which was later remodeled extensively by George Bonney. 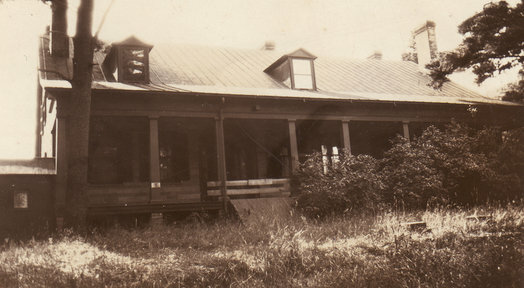 It burned down in 1962, and the property was purchased by the Presbyterian Church. It is now the site of the church’s Fellowship Hall. In 1822, John Clarkson built the Mansion House on the Clarkson Hill, known as Holcroft, and lived there until 1835 when he returned to New York. In 1852, T. Streatfield Clarkson came from New York and took over Holcroft. He was married to Ann Mary Clarkson (sister of Thomas S. Clarkson and the three Clarkson ladies who founded the college). Their daughters were Annie Clarkson and Emily Clarkson Moore, who gave the Clarkson Hill property to Clarkson College. In the summer of 1827, Augustus Lavinus Clarkson came to Potsdam and built “Woodstock” that same year. Thomas S. Clarkson, whose wife was Elizabeth Clarkson (a first cousin), came in 1840 and built “The Homestead” which burned in 1909. (Pictures in frame in Museum). David L. Clarkson bought his property from Mr. Hermon LeRoy. 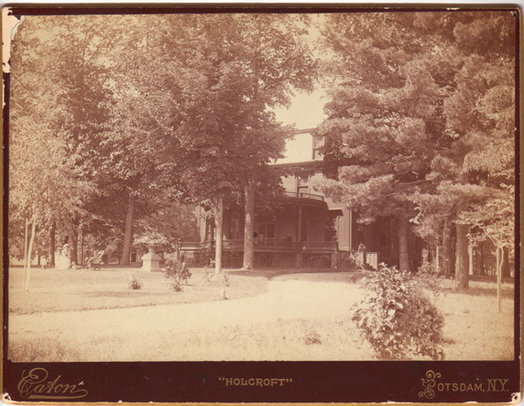 The house stood where the Merritt Apartments now are. The house was of white wood, built on three sides of a square with a garden in the center. The first Episcopal clergyman, Rev. Mr. 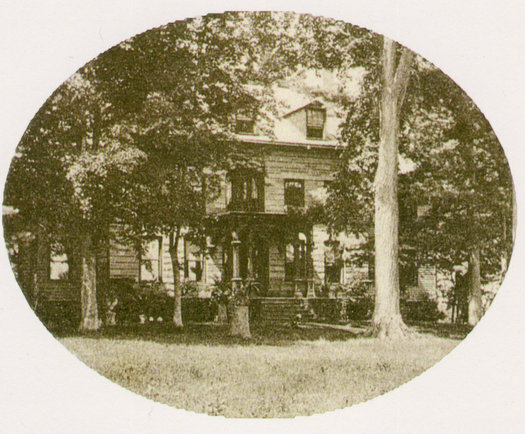 Bury, lived in the LeRoy home after Mr. LeRoy returned to New York. 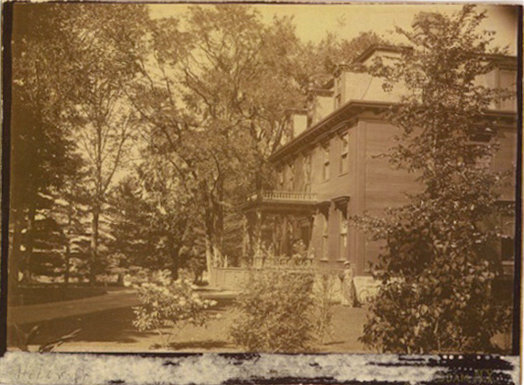 The house burned and David Clarkson built his new home of sandstone about 1836. 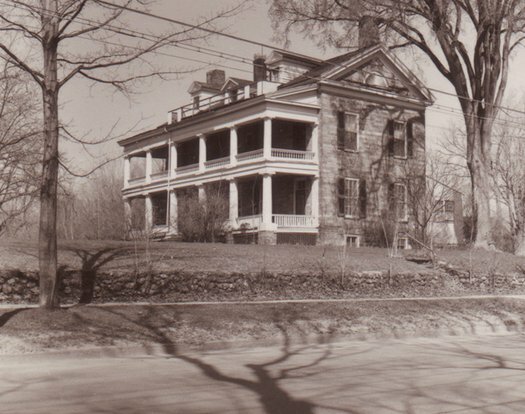 The fieldstone house located on Castle Drive was the caretaker’s house, built in 1830, and was occupied by Mr. Clarkson while his new home was being constructed. A lane led from the house to Elm Street and the gate was near the Baptist Church. Tradition has it that David Clarkson did not get on well with the other members of the family in Potsdam and returned to New York where he later became president of the New York Stock Exchange.